Outside Magazine picked up James’s shot for their 2010 Wall Calendar. 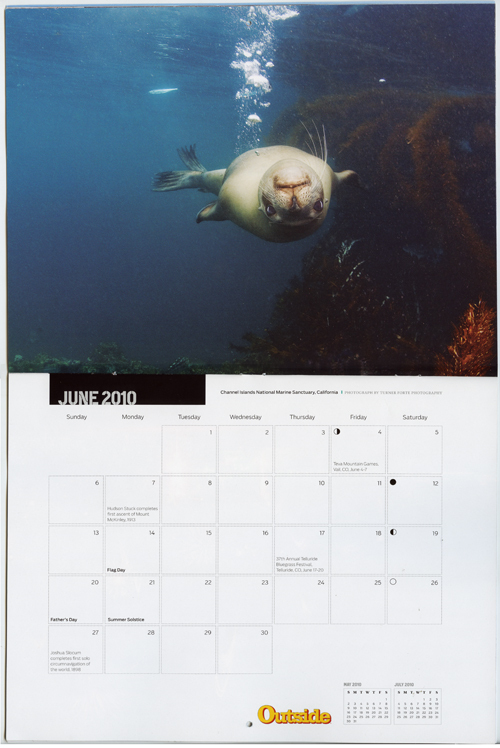 Pick one up and in June of next year, a curious sea lion will be staring you in the face! Happy Holidays to all!